Movies don’t have to be fantastical in order to do fantastic business. That’s the takeaway from a weekend that saw Fox’s “Bohemian Rhapsody” top the box office charts and Disney’s “The Nutcracker and the Four Realms” serve up a face plant of epic proportions. It’s an important reminder because the studios behind the two films are about to join forces. Among the many question marks surrounding Disney’s impending acquisition of Fox is what the future of film will look like as the Magic Kingdom absorbs much of the Murdoch clan’s media empire? It’s a valid area of inquiry. Right now, the sense is that Disney will keep churning out the kind of Avengers spin-offs, animated fare, and Star Wars sequels that have allowed it to rise to the top of the film heap. The studio commands nearly 30% of the domestic box office, after all, so something must be working. There’s a lot of speculation that Fox, if it continues to exist as a distinct brand, will make a fraction of the movies it currently produces. Disney is believe to be more interested in Fox’s cable assets and primarily invested in the studio’s major franchises, including “Avatar” and the X-Men. But if “Bohemian Rhapsody’s” success is any indication, Disney might do well to broaden the types of films it produces. At a glance, the brands don’t seem to completely jibe. Disney, for the most part, has cultivated its family-friendly brand around wholesome cartoons and squeaky clean superheroes. Fox’s slate, in contrast, has been more of a mixed bag of characters with raunchy mercenaries, outspoken social activists, and most recently, a flamboyant rocker. Sure, Fox does superhero movies too — but the very R-rated “Logan” and “Deadpool” don’t promise fun for the whole family unless that family really loves the f-word. 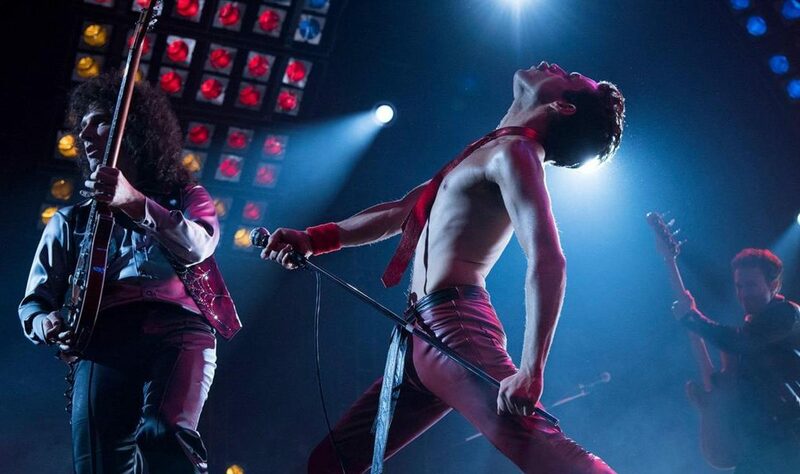 Let’s be clear, “Bohemian Rhapsody,” centering on a bisexual pop singer whose career was cut short by AIDS, is not the kind of movie that Disney has been green lighting in recent years. Even with a PG-13 rating, it is far too “adult” in its content to interest a corporate leviathan that often sees films as precursors to toy lines and theme park rides. Yet Fox’s Queen biopic “Bohemian Rhapsody” beat expectations with a huge $50 million in North America and $72.5 million overseas for a global start of $122.5 million. That’s a lot of cheddar. And given that it cost the studio just $52 million to make and promises to sell a boatload of soundtrack albums, “Rhapsody” looks to be wildly profitable despite mixed reviews. It also smashed the debut of “The Nutcracker and the Four Realms,” Disney’s magical holiday fantasy that also hit multiplexes this weekend. The big-budget film faltered, earning just $20 million at the domestic box office and $38.5 million internationally. With a price tag over $125 million and tens of millions more in marketing costs, those results are disastrous. The film stands to be a big money loser. Box office charts aside, there may be a thing or two Disney can learn from the studio it is bringing into the fold. There’s a reason so many competitors find themselves punching up against Disney. The Magic Kingdom market share is double that of the next biggest studios, and that percentage will only grow when Fox comes on board. Two of its movies this year — “Black Panther” and “Incredibles 2” — eclipsed the billion dollar mark globally, while “Avengers: Infinity War” smashed $2 billion worldwide. But it has one big problem. The studio has stumbled recently when it comes to making live action movies that don’t feature a superhero or branded IP. “A Wrinkle In Time,” “Christopher Robin” and now “The Nutcracker and the Four Realms” are Disney’s only titles this year that haven’t opened No. 1 at the box office, and even “Solo: A Star Wars Story” was a flop despite the fact that it unspooled in a galaxy far, far away. At some point, people may get sick of Avengers movies. They may even tire of Pixar’s style. Disney could use a little diversity in its offerings as a safeguard against the vagaries of audience taste. Moreover, Disney is readying a streaming service that it hopes can challenge Netflix. In recent years, Disney has pruned its slate so that it only releases big-budget films. It makes far fewer movies than, say, a Sony or a Warner Bros. However, streaming services are a volume business. Subscribers don’t just want great content. They want lots of it. Disney is going to need to ramp up production. That’s where Fox can step in. It may time for Disney to shake up its all-tentpole, all the time strategy, and a handful of execs joining the ranks at Disney can certainly aid that transition. Disney recently unveiled the 20th Century Fox executives who will be making their way over to the Mouse House. Among the new hires are Fox film vice-chairman Emma Watts, Fox 2000 head Elizabeth Gabler, Fox Searchlight co-heads Steve Gilula and Nancy Utley, Fox animation co-heads Andrea Miloro and Robert Baird, and Fox Family president Vanessa Morrison. Their collective resumes include “X-Men” and “Deadpool” franchise, “The Greatest Showman,” “The Shape of Water” and “Ice Age.” The merger offers the opportunity to utilize talent that knows a thing or two about franchises with a little edge. And with great talent comes great responsibility. That involves getting audiences to fill theaters for a movie that isn’t part of a pre-existing series. “Deadpool” and “Logan,” Fox’s raunchier and darker superheroes, may have been harder to market, so Fox leaned into an over-the-top strategy that coincided with the beloved characters that aren’t so kid friendly. It especially paid off with “Bohemian Rhapsody.” Audiences didn’t care about the tepid reviews. Just one view of the trailer proved the mashup of classic Queen songs were enough to entice crowds. Though “Nutcracker” has been a consistently difficult brand to sell, perhaps Disney could benefit from some less traditional techniques. If a studio is pumping over $100 million into a movie, it certainly needs a few tricks up its sleeve. All of this isn’t to say that Fox has a flawless track record — “Bad Times at the El Royale,” for instance, won’t be inspiring any new spin-offs — but the film branch does have a few things it can teach its new studio masters.